Here’s Mono Stone for you. It is a Saturday morning and I enjoying the laziness of this cloudy day. 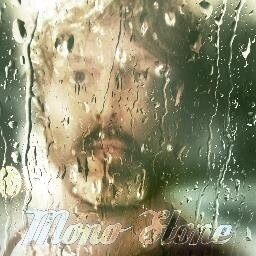 I checked my twitter feed to find this wonderful song by Mono Stone. It is called We Rage in Vain. Beautiful guitar And beautiful singing there! I don’t have to go outside, the song brings the sky right into my bedroom. I will watch this artist closely as he makes amazing tunes. He lives in Manchester and perhaps with more posts in the future, I would be able to dig up some facts about Mono Stone. I think this song completes this moment before I get up and pour my self my first cup of coffee for the day. I think things are getting better. Previous PostPrevious Sinead O’Connor looking happier and pretty in I’m Not Bossy, I’m The Boss album cover. Next PostNext Layne Greene: The Disappearance of the Glasses Reveals a Deeper Story.